Classic Beef Jerky, seasoned with soy sauce! Snakit Beef Jerky is dried meat produced according to the European tradition. That's why it is less sweet, high in protein and has been well dried to make it even more enjoyable to chew. 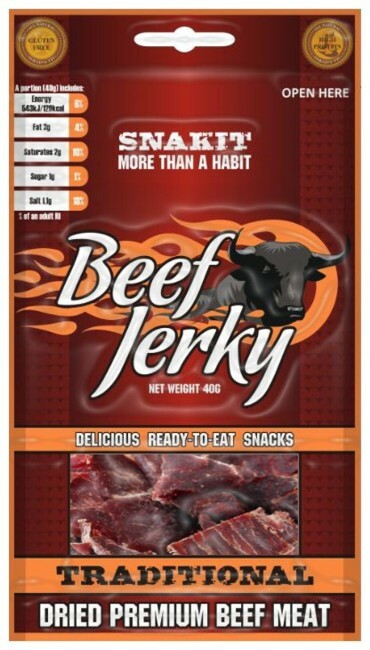 BBQ Beef Jerky, refined with Worcestershire sauce! Hot Beef Jerky, honey meets cayenne pepper! Beef Jerky à la Mexico, Tomate Olé! 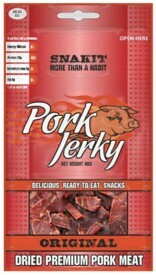 Pork Jerky smoked, pick some pig! 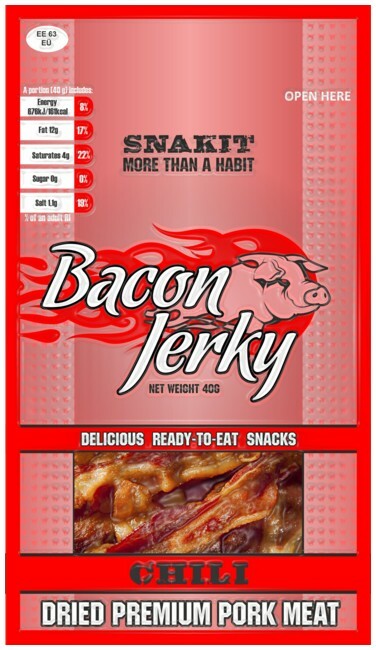 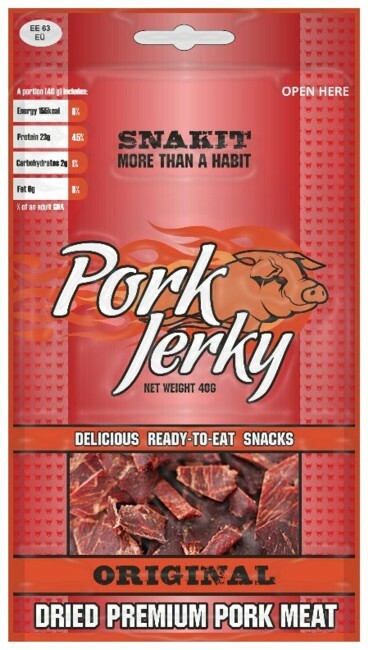 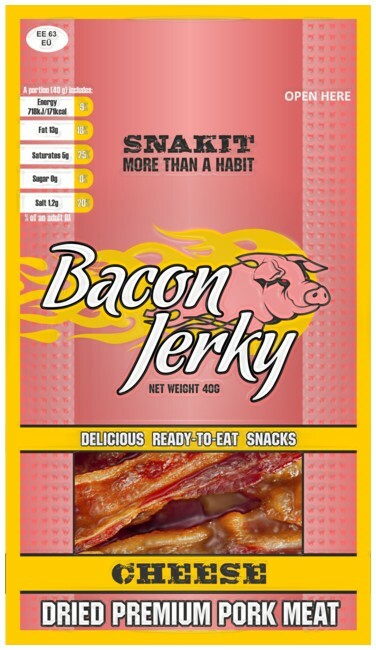 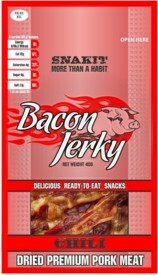 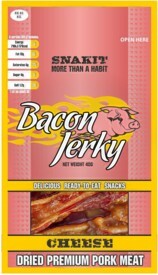 Snakit Pork Jerky is dried meat produced according to the European tradition. So it is less sweet, has a high protein content and has been highly dried to make the chewing pleasure even greater.